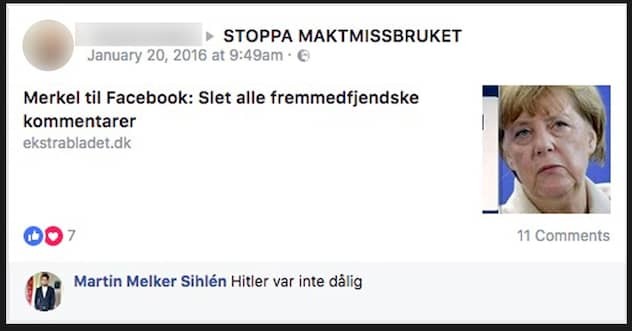 Regional politicians from the far-right Sweden Democrats party were caught making antisemitic statements online, including with it a picture of Anne Frank mocking Holocaust victims. Per Olsson, who represents the party on the city council of Oskarshamn, a coastal Swedish city, posted earlier this year a picture of Frank captioned “coolest Jew in the shower room” on the Russian social network VKontakt, the Expressen daily reported. The Expressen report was part of a project in which journalists for that daily and the Expo magazine looked into the digital footprint of many politicians from various parties ahead of the country’s September 9 general and local elections. Sweden Democrats is currently in third place according to various polls, with 18.7 percent of the vote. Its share was just under 13 percent in the 2014 elections. 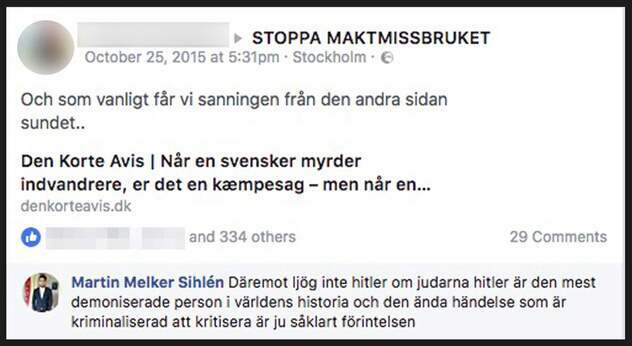 The journalists found antisemitic material on the social media accounts of Raghu Jacobsen, who represents the party on the city council of Stenungsund, located in western Sweden.